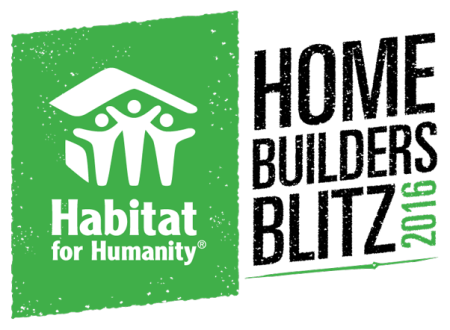 The Home Builders Blitz is a Habitat for Humanity International event happening simultaneously across the nation, with a goal of building 300 homes and helping hundreds of families and children escape substandard housing and become proud Habitat homeowners. 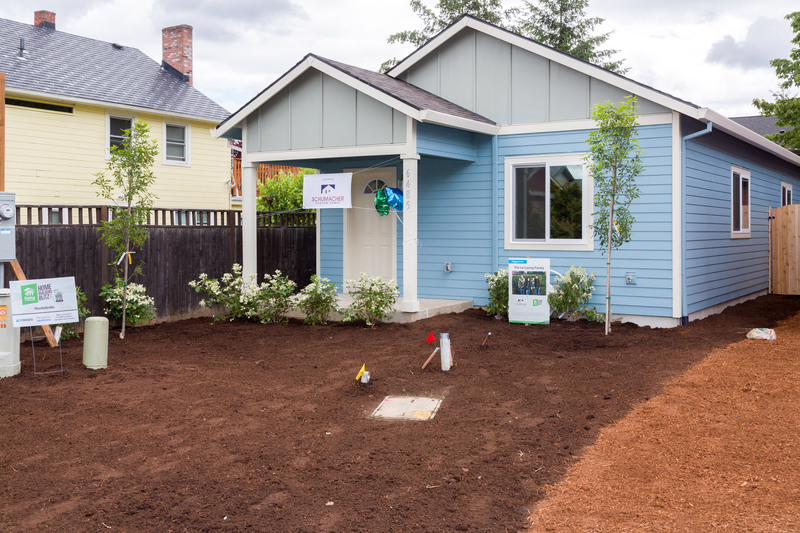 To date, 1,067 homes have been constructed nation wide in connection with Habitat’s Home Builders Blitz efforts. The Home Builders Blitz was started in 2002 by Tom Gipson, a professional home builder in Raleigh, N.C., who supported Habitat for Humanity’s efforts to eliminate poverty housing in his community. 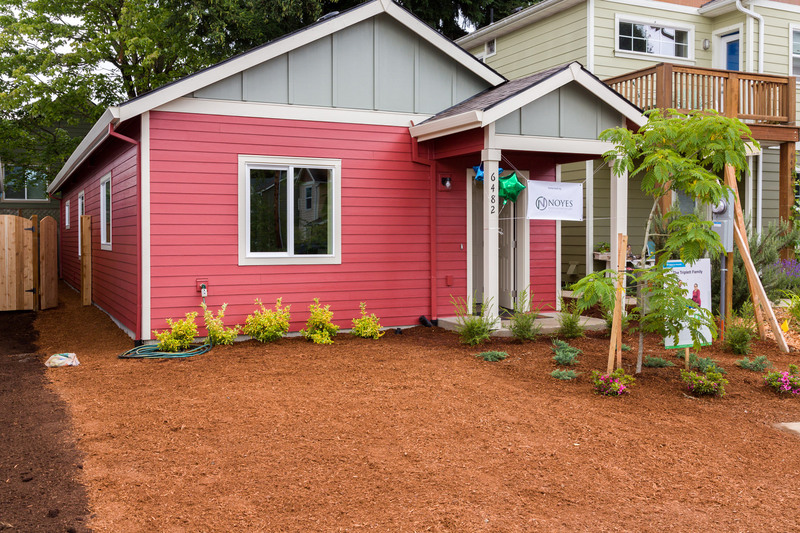 Gipson rallied other local builders for an accelerated build, which was so successful that Habitat for Humanity International decided to promote it as a nationwide event. The 2016 Home Builders Blitz took place May-June 2016. In less than a month, two homes were built from beginning to finish with help and donations from local builders and suppliers. Both homes were dedicated to the families on June 10th, 2016. Gabriel and Sylvia Triplett are the proud parents of two young kids, three-year-old Oscar, and Lucy who was born this past December. 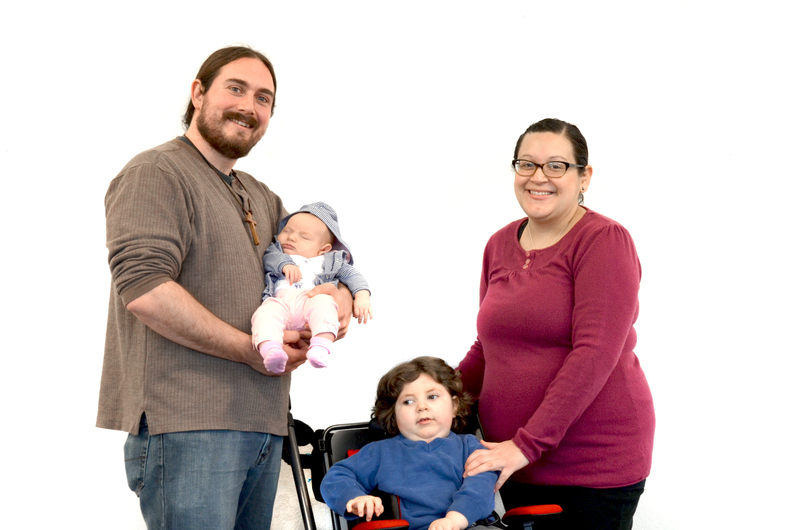 Gabriel works full-time as a pastoral associate and Sylvia is a fulltime mother, which is extra challenging as their son is disabled. Living in the Cully neighborhood for the past five years, the Triplett’s love their community, but find it difficult to afford a place that meets their son’s needs. 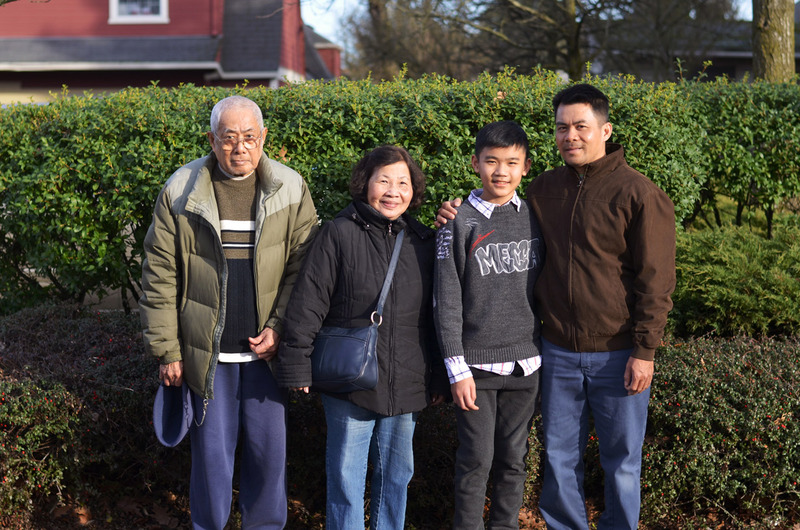 Minh Le is a single father of a 14-year-old son and an older adult son who does not live at home. Minh and his youngest son also live with Minh’s elderly parents, as they are no longer able to afford a place of their own. Their current apartment is very overcrowded. Minh and his son share a bunk bed, while his parents have great difficulty walking up the large number of stairs to their apartment. Despite working full-time as a painter, Minh is just not able to afford a larger place for his family and fears that pretty soon he won’t be able to afford their current apartment, as rent has risen the past few years.